But how a bot handles error messages has a big effect on chatbot UX. When we talk to a chatbot, we want it to understand us; if a bot simply repeats the same error message over and over without any hint on how to set things right, it’s easy for a user to simply walk away. Think about a friend who clearly doesn’t hear what you’ve said and responds with a non-answer — you’re probably not going to invite them out to your next brunch. In less specific instances — if the chatbot simply became confused by a user trying to push its limits — the chatbot might remind the user of what it can do. User expectations should be made clear while onboarding, but it’s possible they might need a refresher when they try to perform a task that the bot simply isn’t prepared for. But what if the user did provide information the chatbot asked for, but still ran into an error? In that case, we’re back at square one, stuck in a vicious cycle of error after error — but there’s a solution. 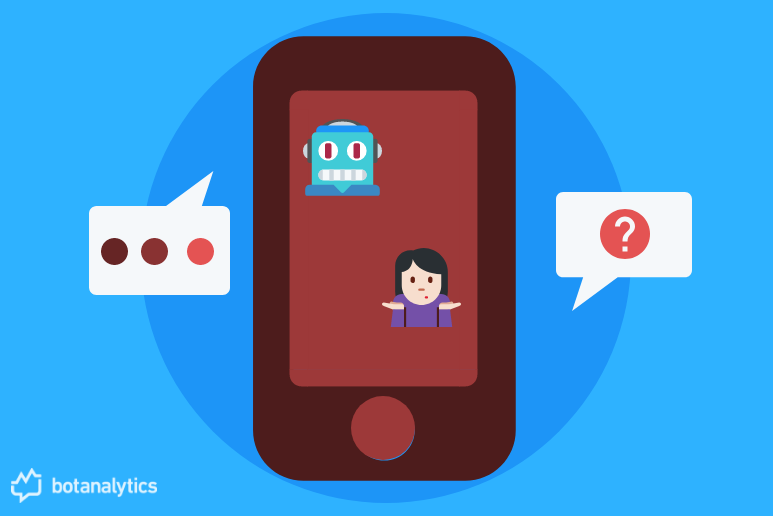 Chatbot UX guidelines generally suggest providing options — contextual or persistent — to steer the conversation. Perhaps one of the most important of the chatbot guidelines for error messages is not to not play the blame game. Miscommunications happen, and often no one is at fault. Imagine if a barista accidentally misunderstood something — a choice in milk or sweetener, perhaps — but reacted with a hint of passive-aggressiveness when you brought it up. This is no way to treat a customer, and no way to treat a user either. A common example of chatbot best practices is to offer variations of all messages: greetings, small-talk responses and (you guessed it!) error messages. No one wants to encounter the same error repeatedly. This is disengaging and robotic — two of a chatbot’s biggest sins. If the bot suddenly appears robotic when struggling to understand the user, it decreases user confidence in the bot. With the chatbot best practices above, then, you should compose several error messages. You may then randomize them when the user runs into a general error.